I have returned from the long weekend bearing typographic goodness! 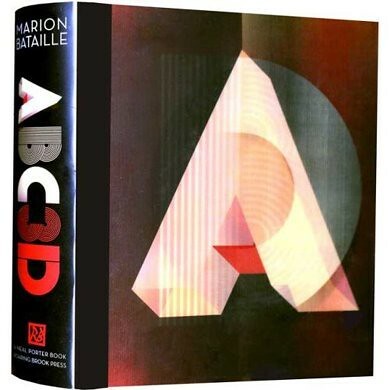 I just pre-ordered Marion Bataille’s ABC3D book from Amazon, and I can hardly wait to get it into my hot little hands. As someone who’s really into both typography, pop-up books, and red/black/white color schemes, this book is a dream come true. The lenticular cover is also an added bonus! I know that if you’re as much of a type nerd as me, you’ll want a copy too. Lastly, I spent all weekend drawing, so expect some new illustrations in this space very soon! I know I’ve been a bit of a slacker with posting art and art progress lately, so I’m trying to get better about it. I’ve also got big plans for comics and (gasp!) video on here in the near future…so keep your eyes peeled for awesome.